This is the base setup for the Maplestory iTCG. 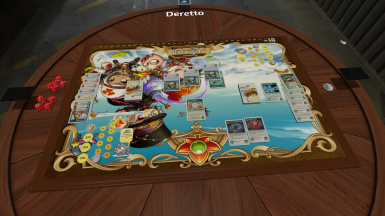 It includes two starter decks and a life counter. Enough to get familiar before you make your own deck. 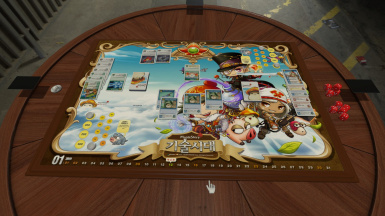 This is a recreation of the Maplestory iTCG created by Wizards of the Coast based on Nexon's popular MMO, Maplestory. The decks included are based on the two started decks that were sold in Japan (the cards in the mod are in english.) 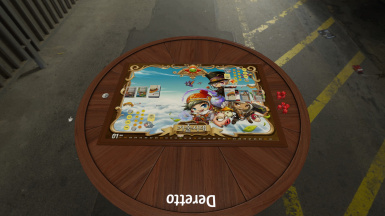 Each deck comes with two characters, please only choose one and set the other aside for the duration of the game. Tip: For the level up process of the game, I recommend setting the card below your character and then picking up your character and drop it when you see it's shadow just above the action. From then on just pick up the very bottom action and do the same each time you level up and you shouldn't have any complications.